Do you ever wonder why you should bother getting involved in the industry you work in? 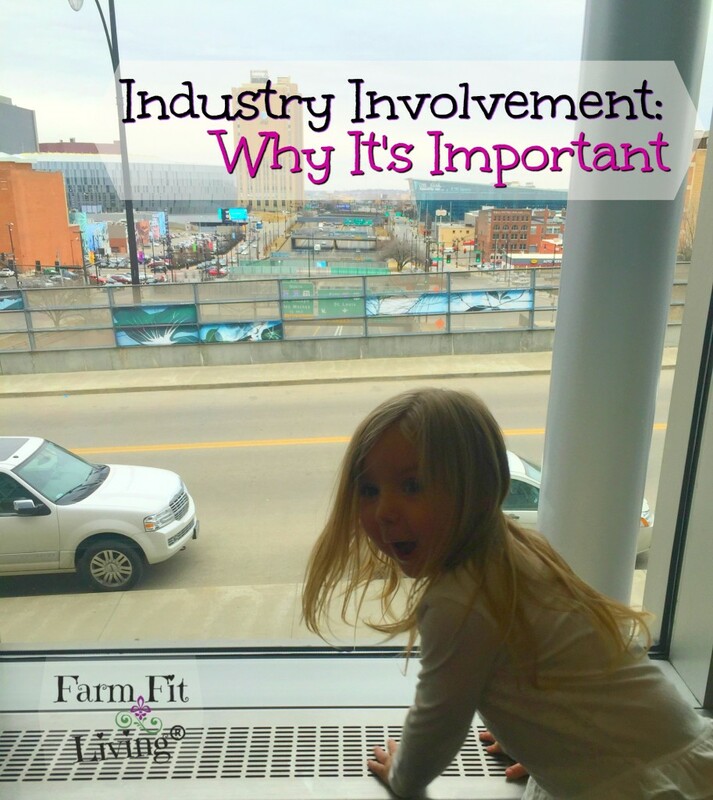 Getting involved in your industry is important for several reasons. But there’s also reasons that pop into your head about why you just shouldn’t get involved. And we’ve all been there, done that. You can only grow so much where you live. Get out of the little box. Leave the farmstead, see new places, and try new things. Get out of your small town and visit the city. A new setting is the foundation for new things learned. New experiences set the stage for growth. Maybe you’ll even find your purpose in life. There are always opportunities to increase your knowledge and skills. Expand your mind. A strong mind means bigger goals and achievement. I love the connections I have made while serving at different levels of my life. Making personal connections is so incredibly important, especially in a rural setting where everyone knows everyone. Social media connections are ok, but personal connections are what really makes things happen. If someone knows you personally, they are more apt to help you in the future. I am living proof of this as I continue to make connections through Farm Bureau. I’ve also reconnected with old college friends who are also involved. It’s fun to reminisce on good times and talk about what’s going on now in our lives. Meeting other bloggers in my niche and influential speakers during conferences has also been a huge benefit. You can’t network too much for the goals you want to accomplish. Hey, you have a voice. When you serve in an industry association, you can use your voice to make a difference. As state committee members, Matt and I are just a step into where we could be. There are more opportunities at our grasp to become influential industry leaders. There is plenty of opportunity for policy leadership and committee work. And you don’t have to be approached to be a part of it. You need to connect and network to obtain the opportunities that will make a difference with your voice. As I continue to grow with Farm Bureau, gaining new networks will help me to learn more. How you get involved in your industry highly depends on who you know. I was approached by a local Farm Bureau member who was also our neighbor. He encouraged us to attend the state Young Farmers & Ranchers conference. At this first gesture to attend this conference, we were completely unaware of the opportunities right in front of us. So, we took the step to leave our growing farm and attend the conference. Yes, we enjoyed it. Five years later, we somehow found our way onto the state committee as representatives from our district. We were noticed. We were seen as potential leaders. Glenn Brunkhow, who blogs at Dust on the Dashboard, is also a leader in Farm Bureau. He’s a friend of Matt and mine who twisted our arm enough to step into the role of a leader. With all of our responsibilities at home and a new baby coming, we really didn’t know what we were getting ourselves into. I’m sure this is why many young farmers and ranchers are hesitating to get involved. But it has all been worth it to me. So far, Matt and I have only seen benefits of serving the industry we love. Living to serve. This is what I’m living now by serving in the agricultural industry. As a young high school student in FFA, I learned to set goals. Goals that would help me to achieve more with my life. My own farming operation was far far into the distance at that time. However, I was already living to serve local organizations. I was serving through my 4-H, FFA, Church and community activities. I grew up in a rural community where everyone served their time to create opportunities for growth. Little did I realize, this was the biggest lesson I would ever re-learn. And while I was doing, I was learning responsibility, compassion, and grace. And people were watching me. I made strong connections by working with others in the community and becoming a role model for younger children. Most importantly, I was helping to grow the organization I was serving because of my enthusiasm for the work I was doing. Leadership became instilled into me just by giving some of my time to making my rural community and organization better. As an involved youngster, I learned my voice could be heard. Fast forward numerous years later. I finished college, married Matt and we started our farm. A family farm that would grow into a business. Yes, a money-making business to feed our family. In order to farm forever, I learned we needed to make an income from our farm. We, as business owners, need to continue to learn new ways to make money from our land. Some of these ways include: The use of technology, efficient use of inputs and successful record keeping. Not only is this important for our family farm, but for others as well. This is why Matt and I both have decided to become more involved in our industry. After attending conferences and meetings, Matt and I can take the information we learn back to our community to help others. By providing educational materials and seminars for people through Extension and 4-H, on-site demonstrations, and Farm Bureau, we hope to help farmers and ranchers not only sustain their incomes but expand their knowledge as well. Knowledge and expansion, I believe, is the key to successful growth. When Matt and I both have to leave the farm to serve, there are risks involved. For one, we leave the animals behind. We can’t take them with us. There is much planning that goes into leaving the farm. Plus, the risk of trusting someone enough to feed and care for your livestock if you have them. Luckily, we have our parents who have graciously taken care of our farmstead and livestock with the best of their abilities. There have been very few problems while we’ve been gone and we have our great caretakers to thank for that. All you can do is plan the best you can. Meetings and events come up. That’s just the risk you take when you live to serve. Options for serving the industry are endless. There are opportunities to serve a rural setting at the local, state, or national level. As I learned back in my FFA classes: A life of service is a life worth living. If we want our industries to be sustainable, we must pitch in our skills, expertise and voice. How will you become more involved in your industry? This is so true in all areas. I can’t tell you how learning to network has helped me grow in my business. Not only that but when you need someone, say a lawyer, you can easily reach out and ask if they could redirect you if they aren’t the person you need. In turn I am always willing to help where I can. Great post! Exactly, Mayra! Networking can help anyone grow and all you have to do is ask for anything you want to know.